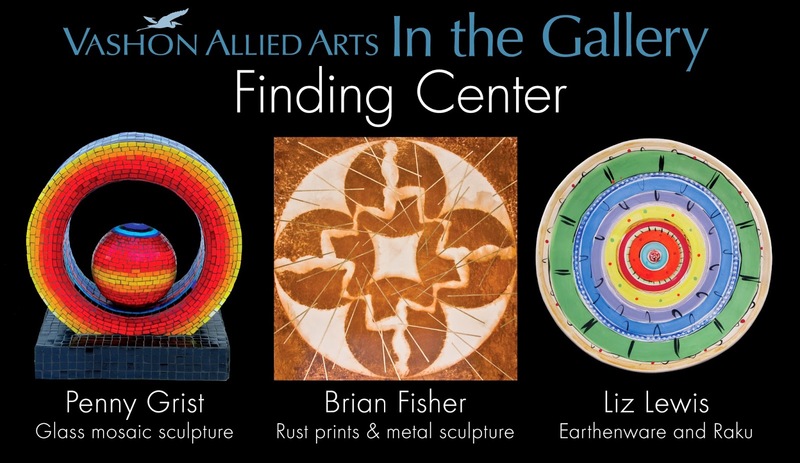 I am excited and grateful to be showing with my friends Penny Grist and Liz Lewis in Finding Center, our personal explorations of center and circle. The opening reception is April 4, 6-9 pm and the show will hang April 4-24, 2014 in the Vashon Allied Arts Gallery at 19704 Vashon Hwy on Vashon Island Washington. Within mythic story, center is generally a tribally circumscribed place, a point of connection between sky and earth, where cardinal directions meet. Whether that center be Delphi or Delos, the Temple Mount or the Black Hills, it is the same symbolic center. It might be called Omphalos or Axis Mundi, Bindu or Bethyle but details and superficial observations aside it functions as the still point from which all objective reality is a manifestation. Spiritually it is the point we search from and for which we search. The rust prints and sculpture I will be showing are expressions of that search, images that are inspired by the "Heroes Journey" and reflections on symbolic center. Kronos, (left) steel and wood, 42x42x4 in. 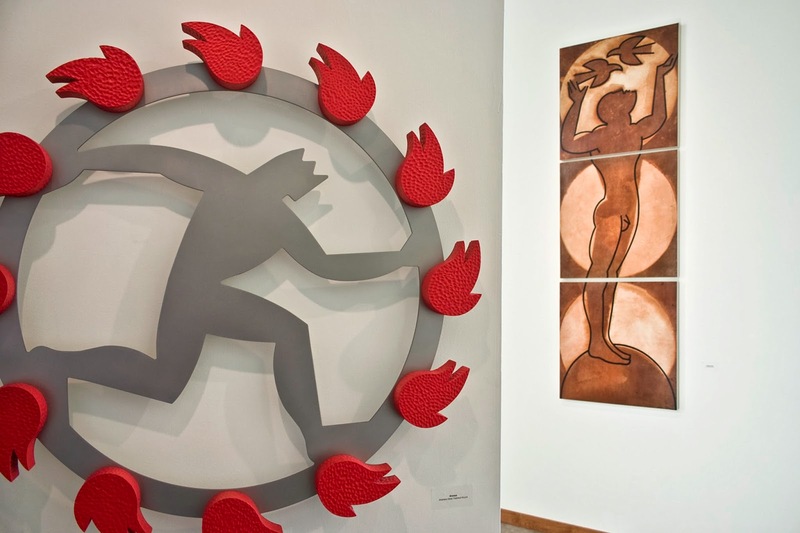 Finding Center, (right) Rust Print, 90x30 in. I'm looking forward to seeing your very large rust prints!